Microsoft hit it out of the conference centre and all the way to the UK. That is how you do a presentation. While they cheated a bit the same as last year – saying there would be a massive amount of games yet a number of them being in a highlight reel – it was definitely solid. A few of those games in the highlight reel were Outer Wilds, Wargroove, Below, Generation Zero, The Golf Club, and Afterparty. And speaking of the parts that fell short – what was the point of saying there would be Battlefield V story content at this conference, EA, if it was just a trailer as long as the one you showcased at your own conference? You could find time to show gameplay footage of a mobile game but not fit an extra minute or two onto a trailer for one of your biggest games of the year? Halo Infinite was first up, with Cyberpunk 2077 being a surprise ending. Littered throughout were Ori and the Will of the Wisps, Metro Exodus, Tales of Vesperia, We Happy Few, PlayerUnknown’s Battlegrounds, the MMORPG Black Desert, Devil May Cry 5, Cuphead – The Delicious Last Course DLC, and the next content addition for Sea of Thieves with Forsaken Shores. That pushes everything I don’t want to talk about out of the way. There’s a lot of interesting stuff within that lot, of course, but I’m personally not looking at that stuff. I was here for one thing, and still managed to get surprised. We’ll start with Square-Enix, who had quite a presence here. Giving the world premiere of a game set within the world of Life Is Strange, it focuses on a boy and his imagination, with him pretending to be a superhero - named The Awesome Adventures of Captain Spirit. Shadow of the Tomb Raider also got a trailer here. Just Cause 4 was also shown here, proving to be as full of explosions and wacky antics as ever. The other thing shown from Square? Kingdom Hearts 3. 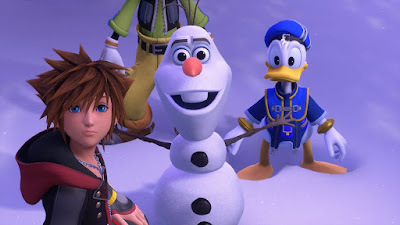 What looks set to be the first of three trailers, this one showed off the Frozen world, briefly looked at the Tangled world, and gave some story elements that I won’t mention here. Once again – Kingdom Hyped, with that hype building further as this paves the way for yet another world reveal at Square’s own conference. In terms of Microsoft, they revealed that their hardware teams are at work on new consoles. They revealed their own streaming service for gaming anywhere [though without ripping Nintendo’s tagline]. They revealed five studios have joined them, including Playground Games, Undead Labs, Compulsion Games, Ninja Theory, and a new creation of The Initiative. There was also the bombshell of them bringing a new Battletoads game, along with talk of bringing back other dormant franchises. That doesn’t stop them also having new IP, as they revealed with a skating game called Session. From Software had a game here in the form of Sekiro: Shadows Die Twice. It has a lot of action involved. Another game with a lot of action was The Division 2, being shown with a gameplay demo. The action here is good, with a world to explore with friends. Nier Automata got a small mention just to say it was coming, and Crackdown 3 had a trailer to show what sort of things you can get up to within the world. Sumo Digital have been brought in for this, though I’m unsure if they were here before this announcement. Bethesda took to the stage to announce Fallout 4 coming to Game Pass, and a later segment also announced The Division and Elder Scrolls Online. Those three are currently available right now, with the announcement of Halo: Master Chief Collection coming at a later date, and a few third party games coming to the service the day they launch – just as what Microsoft do with their own games. 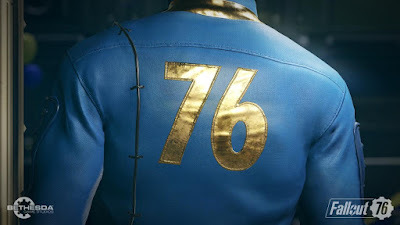 Bethesda followed their announcement with a trailer for Fallout 76. Never having played a Fallout, I don’t know much about the world, but with 4 on Game Pass, I can experience exactly what the series is about. A Gears of War blowout happened. They showed off a trailer with POP figures. A mobile game called Gears POP. That it? No – as it is then revealed a PC game called Gears Tactics will be coming that changes up the gameplay to a turn-based strategy game that still keeps to the core of what the series is about. And it didn’t stop there, as a new game in the main series was also announced. Gears of War 5 looks to have another interesting story, and I’m pretty sure there’s a focus on melee combat here, as several close-quarters weapons were shown being used in the slight bits of gameplay we got. While I’m not the biggest fan of the series, this can only be good news for those who are. Three games of differing playstyle on three different platforms. An adventure-puzzle game was shown off that looks pretty similar to The Legend of Zelda in terms of character. It stars a fox in green using a sword. It’s named Tunic, and the gameplay we got was definitely similar to the 2D Zelda games. This isn’t using a top-down camera though, making it somewhat different. I’m hoping it will feel different when more is shown. Bandai Namco also got a world premiere reveal in the form of Jump Force. This is an epic force of crossover, with the likes of Dragon Ball, One Piece, and Naruto characters coming together for battle. It looked like a standard arena fighter, but the trailer did give the appearance of there being more to it than that. Dying Light 2 also had a world premiere, and this one looks interesting. I haven’t played the first, but there’s exploration and choice that affects the world within this second game. I’m keeping my eye on all three of these. I think you all know what my favourite reveal was. It was obvious it was coming, but that didn’t stop the awe. 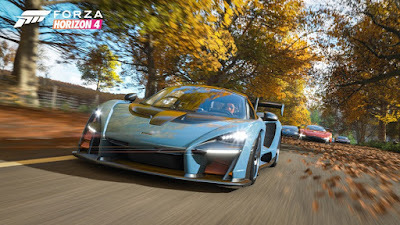 The Horizon festival comes to Britain! The whole system of the festival has been changed up yet again, and it ties into a new mechanic of the weather system. Dynamic seasons. Depending on the season, new events become available. Lakes will freeze up in winter allowing the traversal over them to new areas. Online is being improved to allow more contact between racers easier without voice chat, with quick chat being on the d-pad. And as ever, it looks beautiful. It being in the UK is the absolute dream, and I will certainly be going for it when it releases on 2-October. It’s also available on Game Pass at launch, but this is a game I will buy just because it is a series that I love. Microsoft had tons of reveals and aside from a few parts of corporate speech it was just reveal after reveal. Everything felt it had a place here, even with that corporate speech-making. And while the conference is over, Inside Xbox will have more on Monday-11 at 15:00 PDT / 23:00 BST. There’s going to be more game reveals, more breaking news, and a deeper look at some of what was shown.